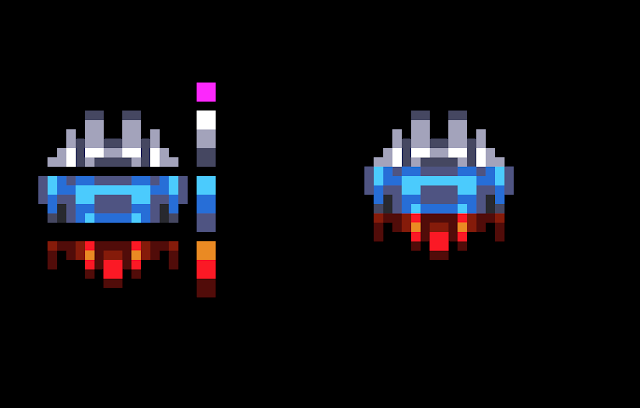 Above is a teaser image for possibly untitled game (4 colour Hardware sprite/split copper colouring horizontally) game concepts posted soon (possibly today) on my Patron site. In discussions with coder on this OCS game. 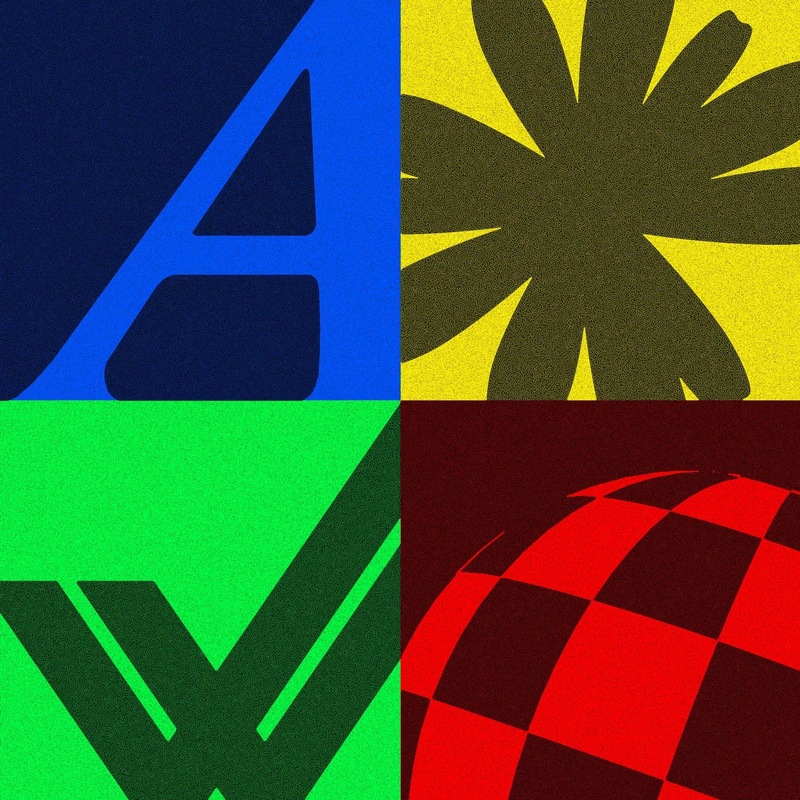 In 2016 (late 2015), Mike asked me to help with some branding/ideas for AmigaForever. We 3 Amigans (Bastich, Akira and Invent) are currently working away on a new game called IRIDIUM. If you have ever played or heard of Uridium on the Amiga then hopefully you will really enjoy this news. 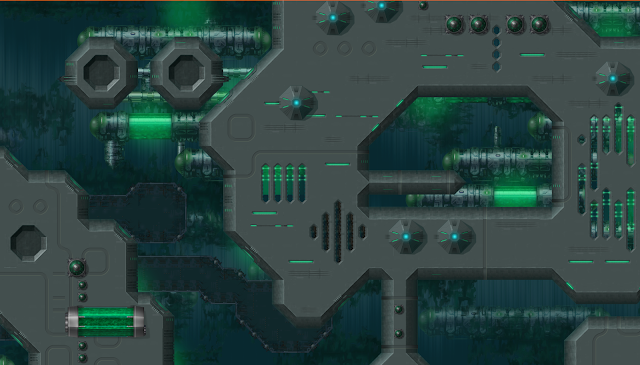 Our game is a frantic new 2D shoot 'em up with huge levels and truly massive enemy ships. Mixing game styles from Uridium, Xenon 2 and Nemesis. We have a few interesting twists along the way. 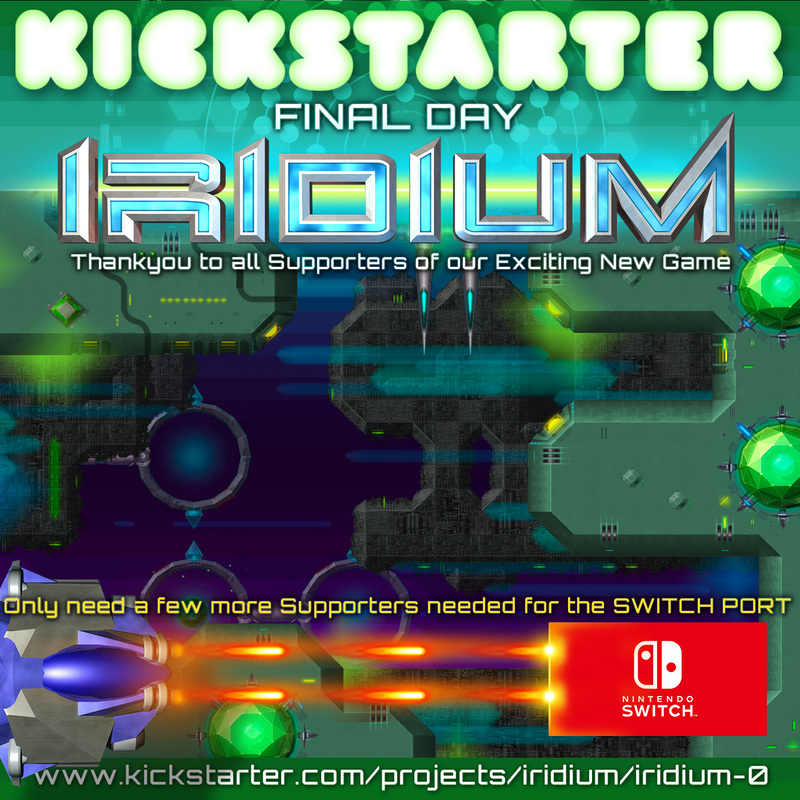 While our focus is for the PC platform first (demo on Kickstarter), our second goal is the Nintendo Switch (other consoles possible but at this stage far too expensive). 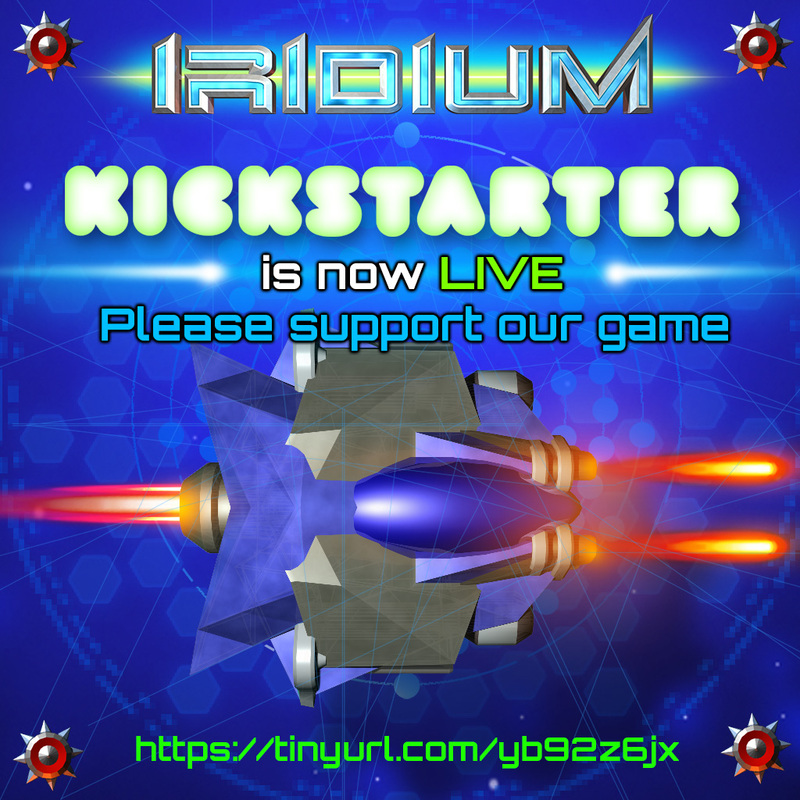 The good news that we are very keen to get this game on the Amiga platform and are having conversations open and private as I write this. At this stage it's either Vampire based Amigas and/or AmigaOS. While I can't personally promise anything, having 3 Amigans on this game certainly helps. First Amiga - A500, then A1200 then A4000. Most used software on platform was Brilliance 2, DirectoryOpus and Lightwave. 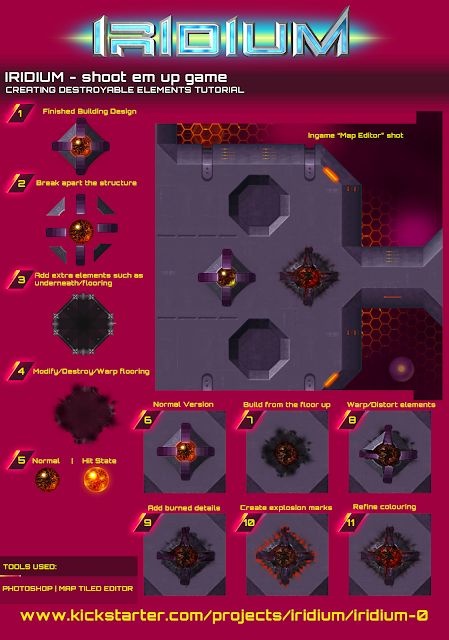 Just finished working on the graphics for the Amiga game "ReshootR" with Richard Löwenstein, game will be available very very soon :) We both worked on Reshoot also. He has a patreon site here: https://www.patreon.com/loewenstein Richard is an amazing guy to work with if you ever have that chance. As well as creating my own games I have donated graphics to other projects eg AmigaOS (Frogger, Space Invaders, Boulderdash Clone) etc. 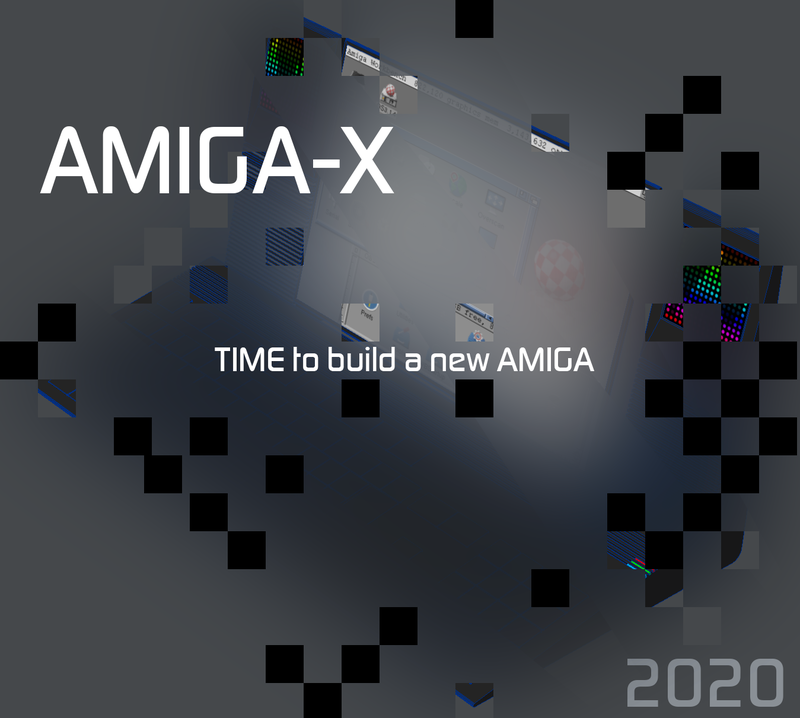 - ProXima3 (AGA shootemup) is my biggest Amiga AGA priority but only once Iridium is complete. - Possibly port two games I have completed for PC/IOS "Lunar Jetman" and "Dots Adventures"
If you got this far, thank you for taking the time reading this message and even if you don't pledge know that I will be around working away in the amiga scene as I enjoy and love it so much. An example of how I create Destructive Elements for IRIDIUM, this process in general does flow into the Amiga game development. This and many other Tutorial will go into the Digital Book "Making of"
Now we have our official Stretch Goals and successfully reach our first one, everyone who pledges £5 or more gets two posters added. James, Akira and myself are very keen to get to the Nintendo Switch and yes we are very open to an Amiga Port if we raise enough money. Please share if you can. 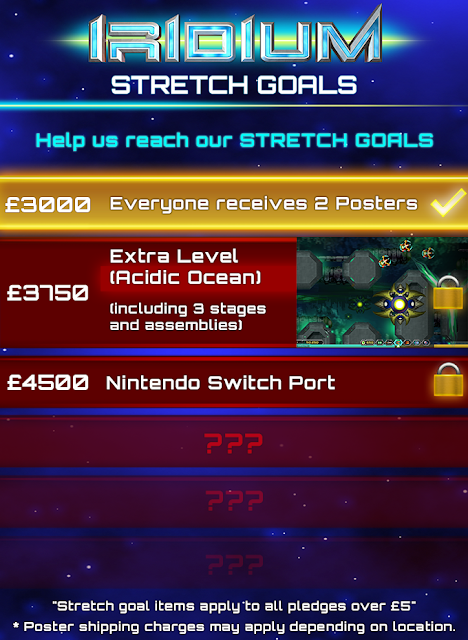 You may notice the £3750 Extra Level (Acidic Ocean), I'm pretty excited about this level as it plays on some clever depth tricks (aliens coming out of the Ocean). If you have not played our demo Please give it a try.